Gary Lancaster – Accu-Fab, Inc.
Gary, our newest member of our Customer Service Department, brings over 14 years experience with customer service, logistics, scheduling, expediting, and trucking. He lives in Raleigh and is originally from Fayetteville, NC. 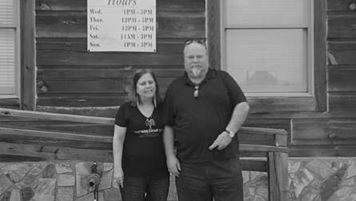 In his spare time, Gary and his fiancé enjoy exploring the Yadkin Valley and spending time with his daughter, son and daughter-in-law.